Feel an unparalleled connection to London, at Shangri-La Hotel, at The Shard, London. Stay in the hotel, in one of the world’s iconic buildings, whilst enjoying panoramic skyline views that connect you to the whole city. In the City of London, right across from the Tower of London and steps from the Tower Hill tube station and the Thames, the location in the financial center is ideal for business travelers and tourists looking to explore one of London’s most historic parts. 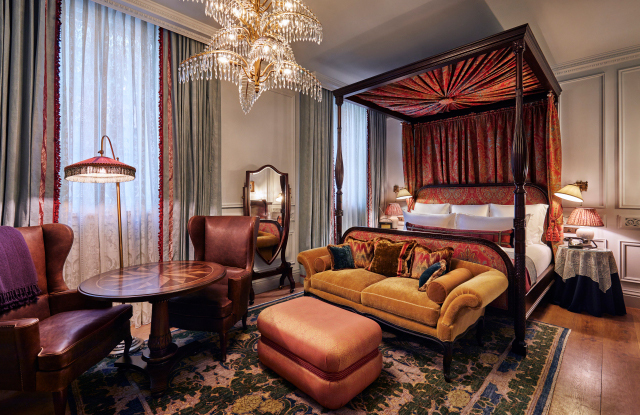 The LaLiT London opened in 2017 and operates 70 rooms. The LaLiT London is located close to a number of London tourist attractions such as the Tower Bridge. The LaLiT London operates two restaurants, namely, Baluchi and The Terrace. The LaLiT London also operates a bread bar called The Naanery and a tea lounge called The Gallery, as well as two bars, the Teacher’s Room and the Headmaster’s Room. Occupying an awe-inspiring building that dates from 1906, when it served as the Tower Bridge Magistrates Court, The Dixon is a new hotel that captures all the culture, creativity and variety of London SE1. Named after John Dixon Butler, the Grade II-listed building's original Edwardian architect, The Dixon is steeped in history but inspired by the contemporary character and culture of its vibrant neighbourhood. Its 193 rooms and suites, lounges and restaurant enjoy an edgy, eclectic design aesthetic and a boutique vibe. We offer a fantastic sightseeing location, within walking distance of the Shard, Shakespeare’s Globe, trendy Borough Market, Tate Modern, HMS Belfast and the Tower of London. London Bridge Station is a 3-minute walk away, giving easy access via the Northern and Jubilee Lines to London attractions including Buckingham Palace, Westminster, the West End, Canary Wharf and the O2.